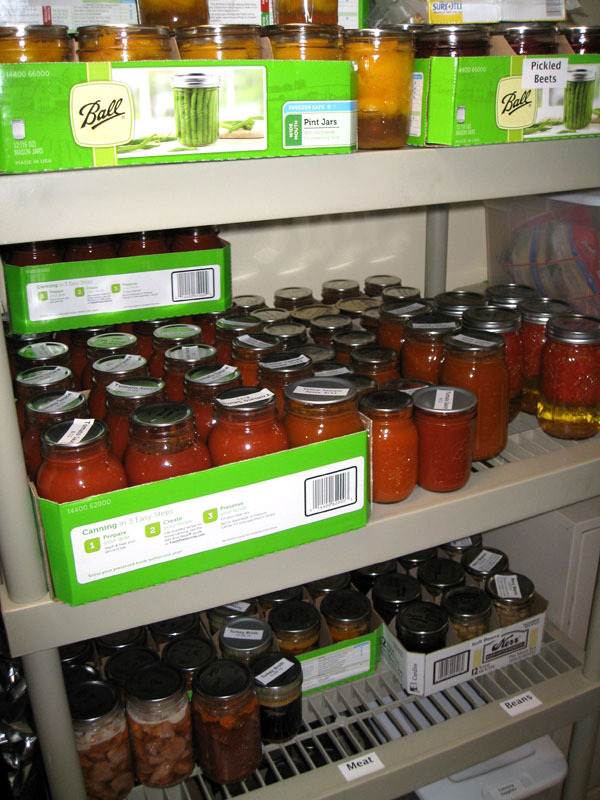 Canned tomato sauce, peaches, etc. 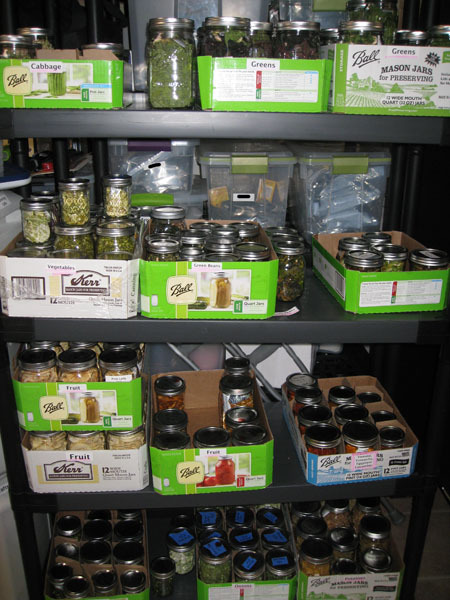 I like to preserve fruits and vegetables while they are in season, plentiful, nutritious, and a good value. We can, dehydrate, and freeze food from our large garden and fruit I get from Crow Mountain Orchard. 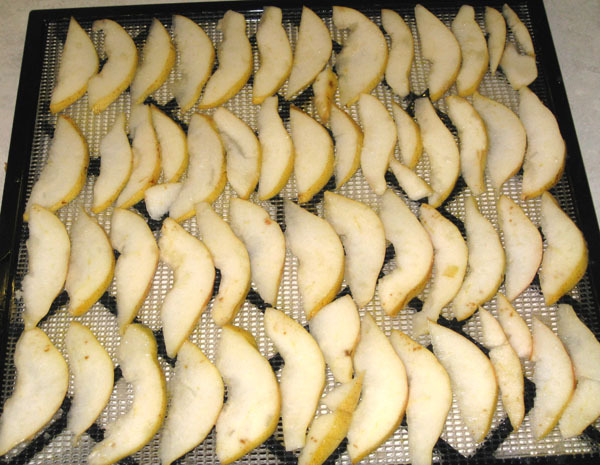 My favorite way to store apples and pears is to dry them in my Excalibur 9-tray dehydrator. I also dry peaches and berries. They taste good as a snack, are healthy, and can be used for cooking. I use them to make a skillet of fried apples, fried pies, and pie with no problem. They taste as good as fresh. My favorite way to use dried pears is mixed in with oatmeal or cereal. It tastes great and naturally sweetens the oatmeal. 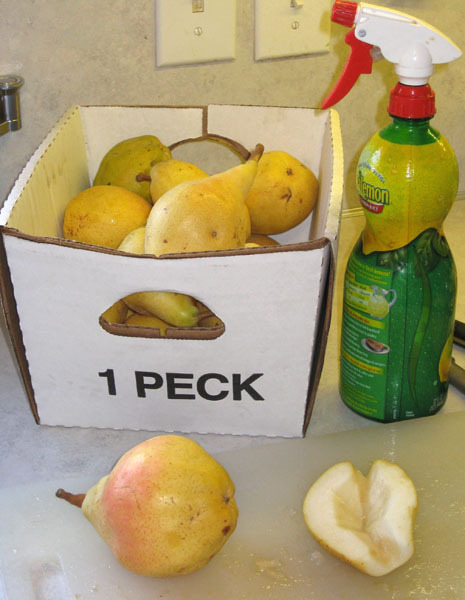 When I dry apples and pears, I usually peel them and slice them fairly thin. 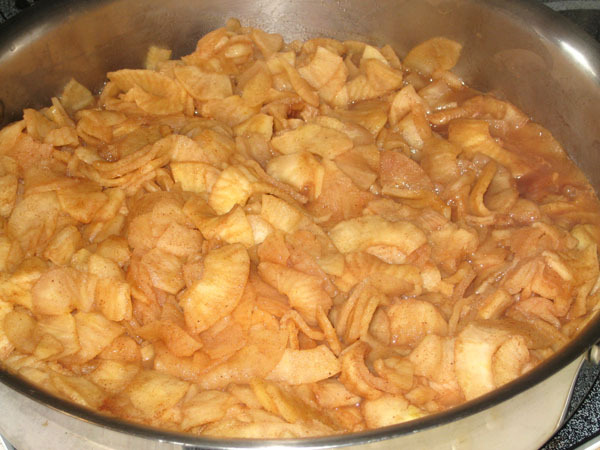 For the apples, I use a hand-cranked peeler/slicer. I use apples that are medium size and firm. Large apples don’t fit well in the peeler. Very ripe or softer apples don’t slice or peel well and get kind of mushy. Most varieties of apples dry well. After the fruit is sliced, I spray it with lemon juice or put it in a bowl with some water and lemon juice or Fresh Fruit to keep it from turning brown in the dehydrator. I do not add sugar or salt to fruit when I dry it. Dry it until the fruit is crisp. If it is not dry enough, it may mold in storage and could be dangerous to eat. 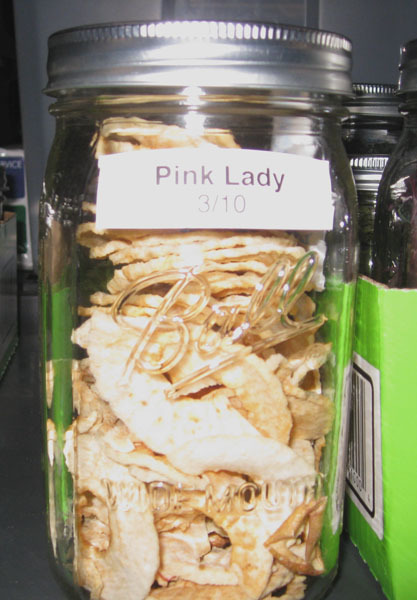 If you bend a dried slice and it breaks in half, it is dry enough. I store my dehydrated food in canning jars with a desiccant packet, and vacuum seal the jars using a FoodSaver. There are many ways to store the dried fruit, but make sure it is protected from moisture and insects. Good information! I dehydrate a lot of veggies, but I think next year I need to try some fruit. Thanks!